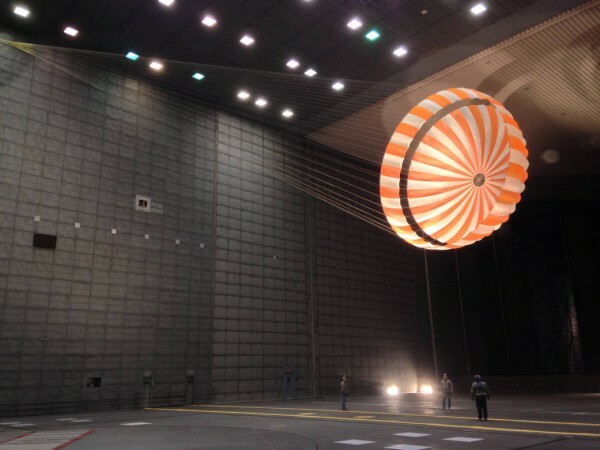 This parachute testing for NASA’s InSight mission to Mars was conducted inside the world’s largest wind tunnel, at NASA Ames Research Center, Moffett Field, California, in February 2015. Lockheed Martin Space Systems, Denver, is building the InSight spacecraft. The InSight Project is managed by NASA’s Jet Propulsion Laboratory, Pasadena, California, for the NASA Science Mission Directorate, Washington. InSight is part of NASA’s Discovery Program, which is managed by NASA’s Marshall Space Flight Center in Huntsville, Alabama.